We are here to put you first! Since 2012, Baldwin Digital has been providing a wide range of digital marketing services such as responsive web design, search engine optimisation, social media management, Google AdWords management and logo design that provides real value and/or a high return on investment to our clients. 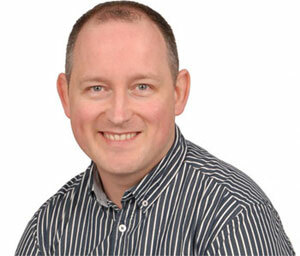 The business is owned by Mark Baldwin whose over 15 years experience in the IT field is invaluable to the business. Baldwin Digital are dedicated to bringing you, the customer, the highest level of professional and affordable services and support. Based in Co. Cork, Ireland, we are perfectly situated to help our local clients to get the best results from their digital marketing campaigns. Our SEO experts also have the experience and expertise to handle local and national campaigns for clients looking to reach a wider audience with their products or services. As you can see, we have worked with a wide and varied selection of clients over the years and we would be delighted to find out more about your business and any problems you may be experiencing with your IT or digital marketing. Over the years we have helped many clients to realise the many benefits of doing business online and we would be delighted to show you what we can do for you. From helping you to leap ahead of your rivals to helping you to build a robust ecommerce site, we offer the digital marketing services you need at a price you can afford. Learn more from our promotional video! Do you wish to enquire about our Search Engine Optimisation, web design, social media & logo design services? Get in touch with Baldwin Digital today, we'd love to hear from you. Just click on the GET A QUOTE button and provide us with your details.